So far, so good. But what about a printer? How can you find its IP address? Thankfully, it’s not too complicated. However, the process is very different to finding the IP address for your computer. Keep reading to find out more. 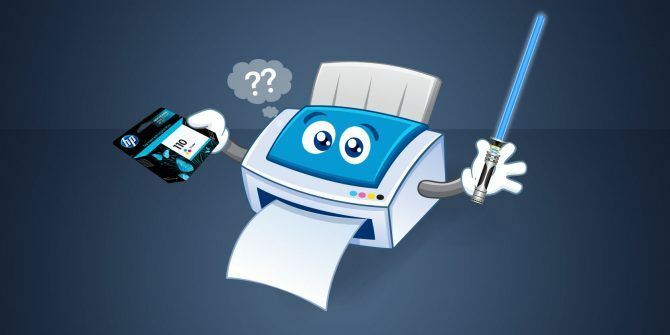 There are a few different methods you can try if you want to find the IP address of your printer. If your printer has an LCD display, there will almost certainly be an option somewhere in the Settings menu to display the IP address on-screen. On Windows, you can use the Control Panel to find the IP address of your printer. Make a note of the IP address in the Troubleshooting section. You can also use Command Prompt to find the address of your printer. Open Command Prompt by pressing the Windows key and typing cmd. You will see a complete list of all the network devices connected to your computer. Lastly, you can find your printer’s IP address in your router’s portal. No two router’s menus are organized in the same way, so it’s impossible to give precise instructions. But, with a bit of poking around, you should be able to find it. And remember, it’s possible to change your IP address How to View & Change Your IP Address in Windows 7, 8, and 10 How to View & Change Your IP Address in Windows 7, 8, and 10 You can use your computer without even knowing your own IP address, but would you like to know how to check? Here's how to quickly check or change your IP address in Windows. Read More if you wish. Explore more about: IP Address, Troubleshooting. The Network Statistics command option you posted (netstat -r) does not show connected devices, it does show however, the IPv4 and IPv6 routing tables the same way as the "route print" command does. You might want to correct this to say "netstat -a) is all TCP connection endpoints and the socket has to be in a "Listening, Time Wait or Established" state to show any information!